The behaviour of animals has fueled a massive area of study which fascinates us. While we must understand how animals learn so that we can teach them, we must also understand the behaviour of animals and how it impacts our living with them. Even domestic animals require outlets for their behaviour to maintain their welfare, and to do this you must first develop a reliable understanding of natural animal behaviour. A lot of popular information about animal behaviour is largely inaccurate, but our courses will always present the most up to date, valid and evidence based information available so that you develop critical evaluation skills and have access to the best course materials. 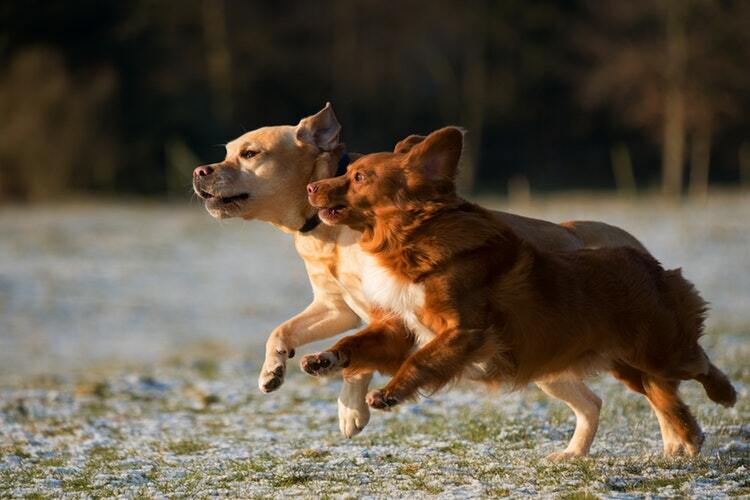 Although aggressive behaviour is a normal part of an animal's behavioural repertoire, canine aggression is generally met with misunderstanding and harsh training approaches. Understanding the motivation for such behaviour allows you to develop knowledge and skills to better help dogs and owners. Who should do this course? This course is suitable for all working with dogs, particularly trainers who work with pets and their people. To start this course, a student must demonstrate knowledge and skill equivalent to Canine Behaviour Foundations course level, at the very least. What will I learn? Course content includes: defining aggression, causes of aggressive behaviour, types of aggression, neurobiology of aggressive behaviour, signalling & behaviour, best practice, management & modification. Assessment: You will apply functional analysis, best practice guidelines and a range of approaches to construct management & modification programs based on provided case studies. To be a trainer you are not required to develop in-depth knowledge of neuroscience, but you should have a basic understanding of the relationship between neurology and behaviour, especially where you intend to work with more complex behaviours. When? This course is all homestudy so you can start when you are ready. Where? you will complete this course on a homestudy basis so can work on coursework any where, any time. How much? Course fees: €90 includes comprehensive course materials, supplementary resources and online support. What will I learn? Course content includes: canine neurological systems, anatomy & physiology, brain & behaviour, canine senses, emotion & behaviour. Assessment: You will complete a Q&A workbook based on course materials. This is the first course you should consider when starting out and to build your skill and knowledge. Find you more here. This course builds on foundation knowledge of canine behaviour, presenting complex topics and challenging your understanding of canine behaviour. Who should do this course? This course is suitable for all working with dogs and those with a keen interest in dog behaviour, particularly trainers who work with pets and their people. To start this course, a student must demonstrate knowledge and skill equivalent to Canine Behaviour Foundations course level, at the very least. What will I learn? Course content includes: origins of domestic dogs, hypotheses of canine domestication, behavioural development, social behaviour, communication & signalling, behavioural health & welfare, behaviour change programs. Assessment: You will build socialisation & exposure programs for puppies, complete training environmental analyses, develop management & modification programs based on provided case studies, and submit muzzle training plans and demonstration. Ethology is the traditional study of natural animal behaviour and an area that is not as emphasised as others in relation to domestic dogs. The recent interest in canine cognition has seen this area taking this approach to studying canine behaviour, and their lives with humans. When? See the Course Calendar for the next Canine Ethology & Cognition course. Who should do this course? This course is suitable for all working with dogs or those with a keen interest in canine behaviour, particularly trainers who work with pets and their people. To start this course, a student must demonstrate knowledge and skill equivalent to Canine Behaviour Foundations course level, at the very least. Assessment: You will complete analyses of research papers relevant to this area of study, you will carry out practical demonstrations on canine play, ethological analyses and ethograms of canine social behaviour and play. The journey of the dog through rescue can have serious effects on its behaviour and welfare. As such, trainers and those with knowledge of behaviour & welfare can help support these dogs through rescue and in their new homes so that adoptions are successful. Who should do this course? This course is suitable for all working with dogs, particularly those volunteering and working rescue or with rescue dogs. To start this course, it is recommended that a student can demonstrate knowledge and skill equivalent to Canine Behaviour Foundations course level, although this is not a requirement. What will I learn? Course content includes: canine behaviour foundations, welfare practices, legislation, ethics, the journey of the rescue dog, training & behaviour interventions to support dogs through rescue and in their new homes, representing welfare organisations and rescue dogs. Assessment: You will develop and apply a canine welfare audit, and design a rehoming campaign for a specific dog. Many dogs can benefit from exposure to groups, but this greatly depends on the supervision and guidance provided by the trainer or professional with the group. Where? you will attend for a two day seminar/workshop and then complete the study and assessment work on a homestudy basis. Who should do this course? This course is suitable for all working with dogs and those with a keen interest in canine behaviour, particularly those who work with groups of dogs, such as in a daycare or as a walker. To start this course those, a student must demonstrate knowledge and skill equivalent to Canine Behaviour Foundations course level, at the very least. What will I learn? Course content includes: behaviour foundations, monitoring play & canine interactions, supervision & handling of dogs in groups, health & safety, developing play group procedures. Assessment: You will complete a log based on a play group workshop as part of this course, design play group activities, and assessment work on health & safety. Once all that admin is done, you will be good to go. You will receive access to the course online area when you attend for the course seminar/workshop.